The Galaxy S8 is by all indications a pretty great smartphone, but Samsung didn’t do much with the rear camera this time around. That doesn’t mean it wasn’t thinking about it though: a leaked prototype shows a version of the Galaxy S8 plus sporting a dual camera setup. The images, shared by KK on Weibo – a leaker with a solid track record – shows off two cameras in a vertical arrangement (like the new iPhone is rumored to have) in a body otherwise very similar to the final model. 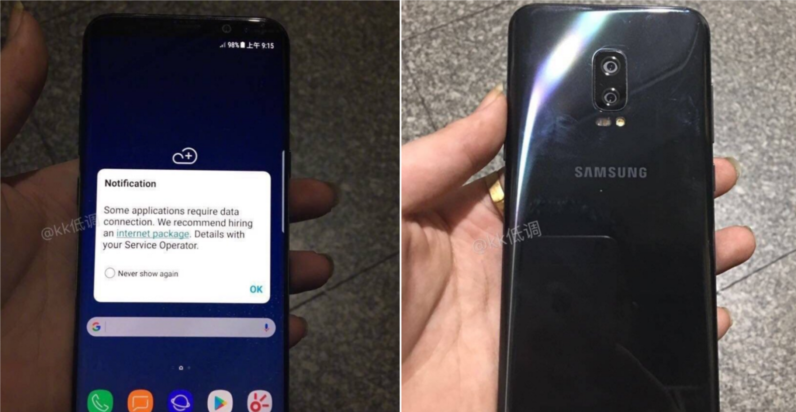 Curiously, this prototype doesn’t have a fingerprint sensor – this may have been from when Samsung was allegedly still looking to implement the feature under the front glass. Samsung told The Verge it “had not found real value” for a dual camera setup yet, so decided to forego the feature. I’d beg to differ – the dual camera setups on the LG G6, iPhone 7 Plus, and Huawei P10 allow for a lot more flexibility than any singular camera can. In fact, I’d argue phone cameras are so good nowadays that generational improvements are beginning to suffer from diminishing returns (there’s a reason Samsung didn’t highlight any upgrades to the rear camera this year). So perhaps a dual-camera setup on the Note 8, Samsung?